Although the global fashion industry is currently worth $1.7trn (€1.46trn), it is also one of the most crowded marketplaces in the world. Huge brands with decades of experience, such as Chanel and Prada, constantly have to jostle with emerging competitors like Marc Jacobs and L K Bennett. Luxury fashion has always centred on the distinctive, but mass production has forced the industry to search for a new type of exclusivity: customisation. With that in mind, Undandy has a unique proposition to help it stand out from its competitors. By focusing on customisable, handcrafted shoes, we give our clients the freedom to choose every detail imaginable: from the style, model and type of leather, right down to the laces, stitching and the engraving on the soles. With no one currently cornering this particular niche, we’ve witnessed orders rise steadily from 100 shoes per month to more than 1,500. Clearly, you can still make your mark in a congested industry if you offer customers something truly individual. As Undandy looks to the future, it becomes even more important to understand the lessons of the past. 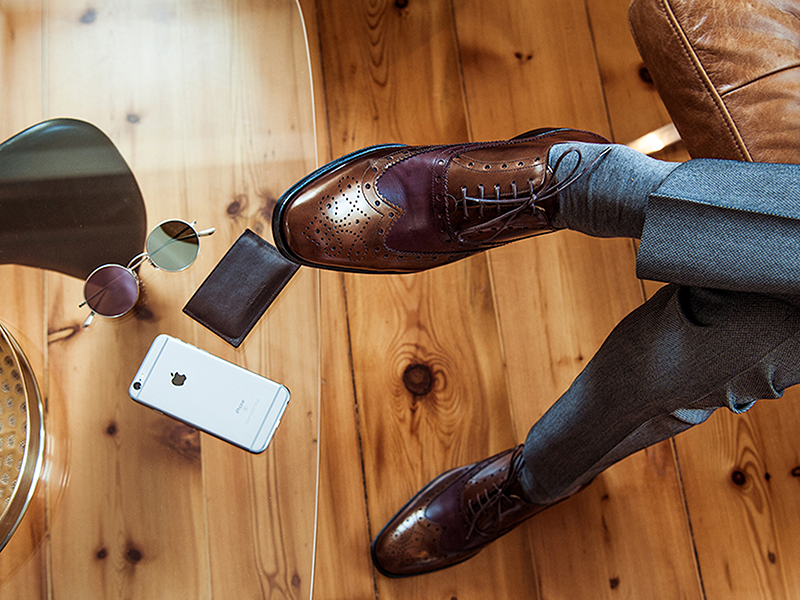 That’s why we are just as committed to sharing Portuguese craftsmanship and the time-honoured art of shoemaking with the world as we are to utilising the latest digital tools. Through our online portal, customers can design their shoes in just five stages, taking complete control with a simulation that allows them to experiment before placing an order. In fact, this simple process allows for more than 156 billion combinations to be produced. As digital technologies continue to play an increasingly prominent role in our lives, it is only natural to be concerned that consumers will no longer value brands that place great significance on traditional craftsmanship. However, it is actually the combination of old and new that is delivering the most value to customers. This is one of Undandy’s core philosophies: the blend between the digital era and traditional craftsmanship, all wrapped up in a direct-to-customer approach. Even as the fashion industry adopts new technologies, old-school business practices continue to play a pivotal role in its development. Having run companies in a variety of markets, one thing never changes: you have to understand the consumer. One of the greatest things about Undandy is that we are not slaves to trends; we let our clients create their own products. If you look at the shoes being designed in the US market, they are not the same as those being designed in the European market, and the Arab market is different once again. This is what makes Undandy so unique as a brand; we provide the tools for each culture to express itself. However, we are still a Portuguese company, and we want our unique culture to come across in the products we sell. More than that, we are a company shaped by our position within Lisbon’s thriving start-up environment. The city has the ideal conditions for any start-up to settle: a phenomenal location, a quality labour force, a healthy appreciation of risk and, as a bonus, beautiful weather and breathtaking beaches just 30 minutes from the city centre. Lisbon may be our home, but disruptors like Undandy can benefit the entire world. Our aim is to become the reference point for customisable, direct-to-consumer brands in the men’s footwear sector, while also expanding our current product offering. Today more than ever, companies are expected to add value to both their customers and society – profit should simply be a by-product. As such, we want to revive traditional values and the appreciation of fine craftsmanship through the use of modern technology, inspiring men to walk in the footsteps of those who led the way.